Hello, I am Lauraclaire Benelli, Estate Manager and the CEO of the Scottish Highlands Estate. My staff and I would love to welcome you to our area. Our sims are General / Moderate Rated which makes them very friendly and welcoming. We do not allow Vampire invites (bites, Huds etc), so if you are ever offered this on our sim please IM Myself (Lauraclaire Benelli) or Magnus Brody. We also encourage good manners, so if you find someone being rude. Please do the same as above. We moved here from smaller sims in February of 2009. The hub is the Loch Ness Inn in the Inverness City sim and we also have Urquhart which is sponsored by Magnus Brody and is our residential Sim. 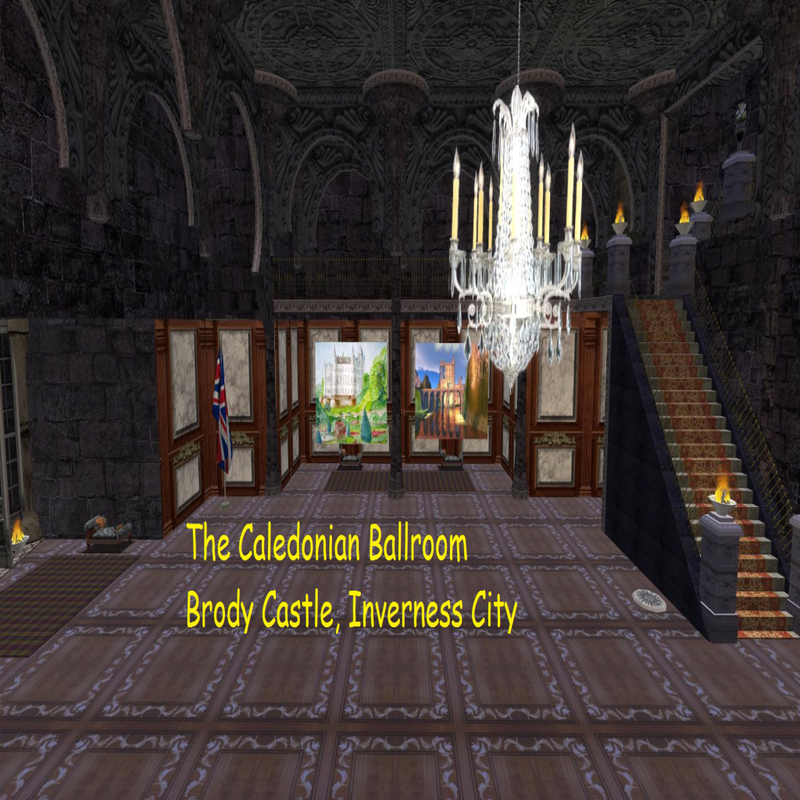 The main events are held on the Inverness Sim where we have The Loch Ness Inn, and The Caledonian Ballroom in Brody Castle. Please IM Magnus Brody or myself if you wish to run your own event in our Ballroom. It is free to use with a donation to the Estate. The Inn can also be used as a good meeting place if needed. Please IM Lauraclaire Benelli, Magnus Brody or Elizbeth Beaumont if interested in a store or Rentals in the Highlands and an Invite to the Land Group and Remius MacMoragh if you have any suggestions for events. Now all you need to do is explore this lovely area.